MAKO Spearguns regularly auctions guns and gear on Ebay to help support our brave men and women who sacrificed so much for our great nation. We donate 100% of the money from each Ebay auction directly to Veteran support organizations including Fisher House Foundation and paws4vets. We donate 100% of the total sale price of each auction. We do not just donate the profit. We donate all of it. We donate the gun or gear and give all proceeds to the support organization! What is The Fisher House? Supporting America's military in their time of need, we provide "a home away from home" that enables family members to be close to a loved one at the most stressful time -- during hospitalization for an illness, disease or injury. Fisher House Foundation has received a 4-star rating from Charity Navigator, America's largest independent evaluator of charities for the third consecutive year. "Receiving four out of a possible four stars indicates that your organization excels, as compared to other charities in America, in allocating and growing your finances in the most fiscally responsible way possible. Less than 12% of the charities (rated by Charity Navigator) receive at least two consecutive 4-star evaluations." MAKO Spearguns and paws4people, a 501c3 public charity headquartered in Wilmington, NC (EIN 54-1948479), are joining forces to raise awareness and improve the lives of Veterans, Service Members, and their families. 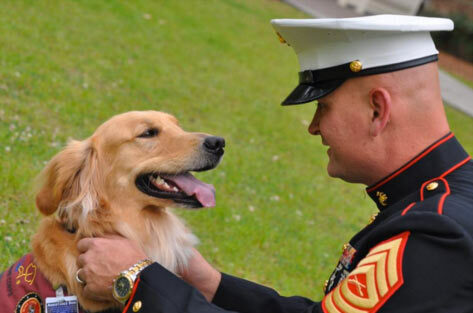 In 2008, paws4people launched its paws4vets program, which is dedicated to providing therapeutic canine interventions to Veterans, Service Members, and their families. The program's mission is to provide healing and hope to Veterans and Service Members, and their families struggling with Post-Traumatic Stress, Traumatic Brain Injuries, Military Sexual Trauma, Moral Injury, and other neurological, psychological, and/or physical disabilities. Click here to view what is currently being auctioned off.